Pinterest is one of the fastest growing social media platforms, and it’s important that you create a business page on it to reach more customers. Pinterest is great for business because it allows you to share your core values with your customers and connect with other business owners. Read below to learn more about this platform. Pinterest is a highly visual platform. Much like Instagram, the images that are the most interesting are the ones that will drive the most traffic to your business. So, think about your target customers. What do they like or dislike? Where do they hope to be? How can your product or service help them get there? Then design Pin images around those ideas. Unlike many social media platforms, I’ve found that it’s incredibly simple to grow your Pinterest following. Facebook likes on your business page are hard to come by, but follows on Pinterest are quite simple. All you need to do is engage and follow other accounts with similar values and interests to yours and many of them will typically follow you back. You can also request to join group boards where you can reach even wider audiences. For example, if your business is coaching, you can join a group board where people post information that might be useful to those with coaching businesses. You can find popular group boards to join here. If you have a brick and mortar business, it might be challenging to reach customers outside of your local community. However, with Pinterest, you have access to over 100 million active monthly users. You can even target users with specific interests if you want to engage in Pinterest advertising. With that many users, you’re bound to find people who fit your target market not only in America but across the world too. With Pinterest, you can do more than just showcase your own products or services. You can even show your other interests so people get to learn more about your company. For example, although I primarily run a personal finance website, I still have lots of other interests including home design, my kids, and traveling. So, when someone comes to my business page, they will see many different group boards that show different aspects of my personality. This helps customers to relate to you and get to know a little bit more about you. Ultimately, I’ve been extremely happy with Pinterest’s influence on my website and my business. In fact, I now get over 50% of my traffic from Pinterest. I can tell the people who visit my site are engaged and interested, and they often view more than one of my web pages. If you’re unsure of how to use Pinterest, you can always hire a social media strategist or take a course to learn more about how to do Pinterest marketing. Although any business can benefit from Pinterest, I’ve noticed the businesses that do very well are typically in the lifestyle, design, and online services categories. 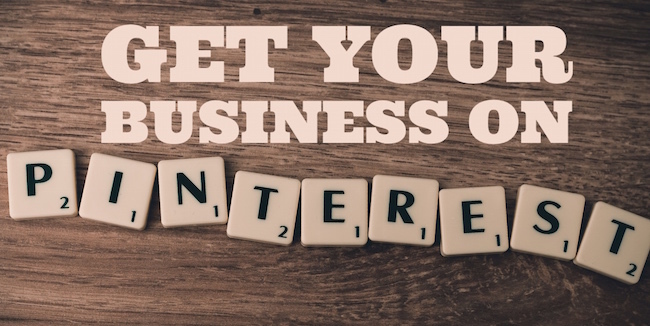 Do you have a business account on Pinterest? Has it increased the traffic to your business page?